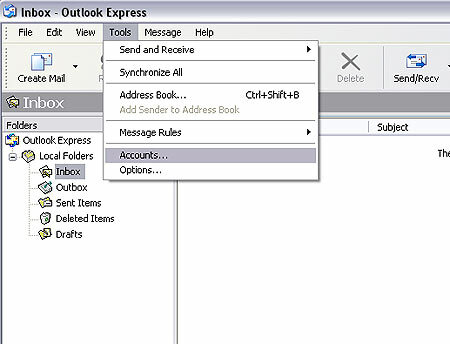 This guide will show how to use your Outlook Express email client in conjunction with the No-IP Alternate Port SMTP email service. 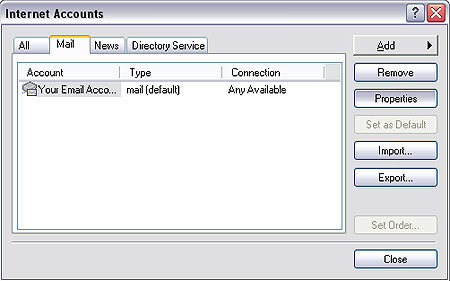 Step 1: Open Outlook Express and select “Accounts” from the Tools menu. 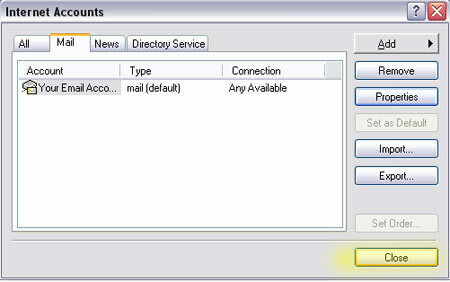 Step 2: Under the “Mail” tab, select the account you want to modify and click “Properties”. Step 3: Click the “Servers” tab and fill in all the required information. 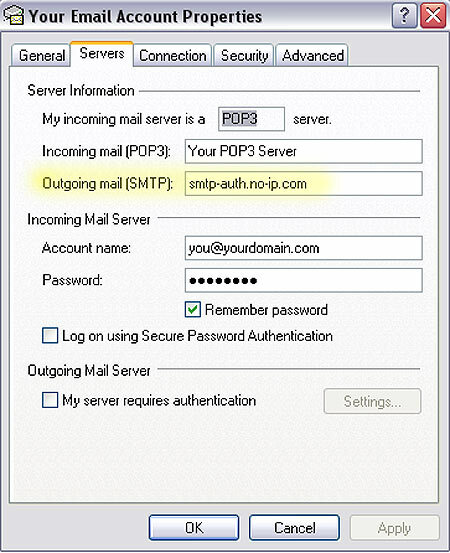 Server Information for the outgoing mail server (SMTP) should be smtp-auth.no-ip.com and the incoming POP3 mail server should be set to your existing mail server (provided by your ISP or a third party). Contact your ISP or third party if you don’t know what these settings should be. 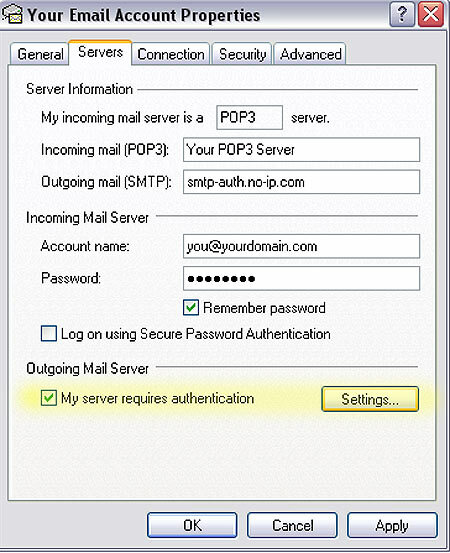 If you’re using No-IP’s POP3 service, see our tips for setting up No-IP™ POP3 service with Outlook Express. Step 4: Enable outgoing server authentication and click “Settings”. Step 5: Customize the authentication settings. 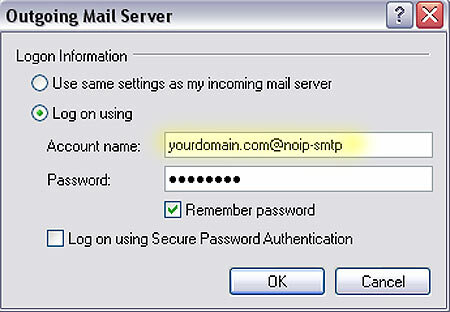 Select “Log on using” and put yourdomain.com@noip-smtp as the Username. Note: Take care to not put an extra hyphen “-” in noip here. The password is one you created when setting up the Alternate Port SMTP service from within your No-IP account. Step 6: Click on the “Advanced” tab to change the SMTP server port number. 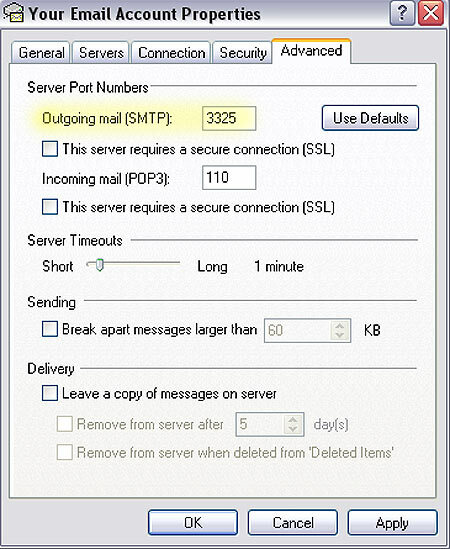 In the Outgoing mail (SMTP) field, change the port number to 3325. Click on the “OK” button to return to the previous window. Step 7: Click “Close” to save the settings and you’re done!